Etihad Airways has named Sydney and Melbourne as the next airports in the global rollout of new lounge brand ‘The House’, recently launched by the airline in partnership with No1 Lounges. 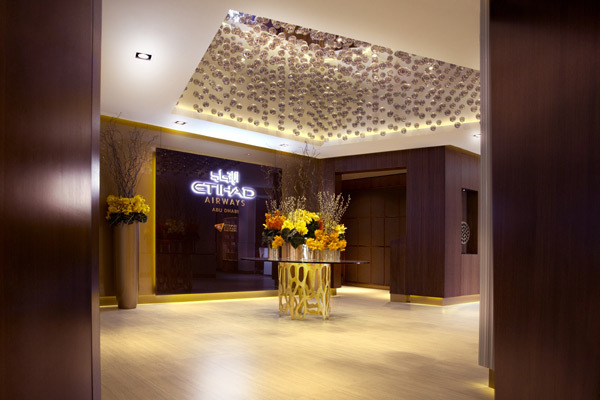 Eligible customers of Etihad Airways, and those of its partner airline, Virgin Australia, travelling through Sydney will be able to experience The House from October 23, while the new upgraded lounge experience will open for customers departing Melbourne on October 27, following the brand’s launch at Heathrow Terminal 4, on October 5. The House is the result of a unique collaboration between Etihad Airways and award-winning lounge provider, No1 Lounges, with the two brands working together to create a stylish and contemporary airport lounge experience in keeping with Etihad’s design and guest experience philosophy. Linda Celestino, Etihad Airways vice president guest experience and delivery, said: “In developing the new brand, we worked to one very simple, but specific objective, which was to take everything that makes our lounges great, the ambience, the design, the food and beverage offering, and make it even better. “We are more committed to Australia than ever and the launch of The House in Sydney and Melbourne, two of the most important gateways in our network, alongside London, is testament to that. We look forward to welcoming our guests down-under to a new and enhanced airport experience,” added Celestino.